A young police officer dies in the small upstate New York town where he grew up; the apparent suicide could be murder and a conspiracy in Jenny Milchman’s debut thriller – Cover of Snow. As Nora investigates her husband’s untimely death, she uncovers secrets from his past and a police force that may be criminal. The action is sometimes halting and confusing, and you will need to persevere to get beyond the grief-stricken widow platitudes. 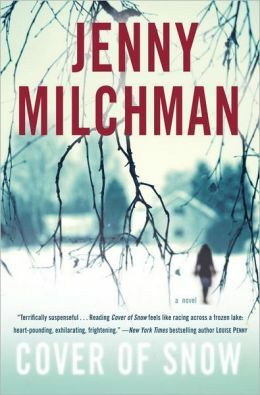 The twists in plot and characters who disappear for chapters subtract from the drama, but Milchman effectively uses the eerie atmosphere of forbidding, snowy desolation in her descriptions of the surroundings to create an ominous tone that she mines to create suspense. The thrills escalate as the story comes to a predictable end, but along the way Cover of Snow will give you some chills.